Sometimes when I come home and the girls greet me by jumping up on my legs I can't tell if they're trying to hug and kiss me, or they're just using me to stretch. 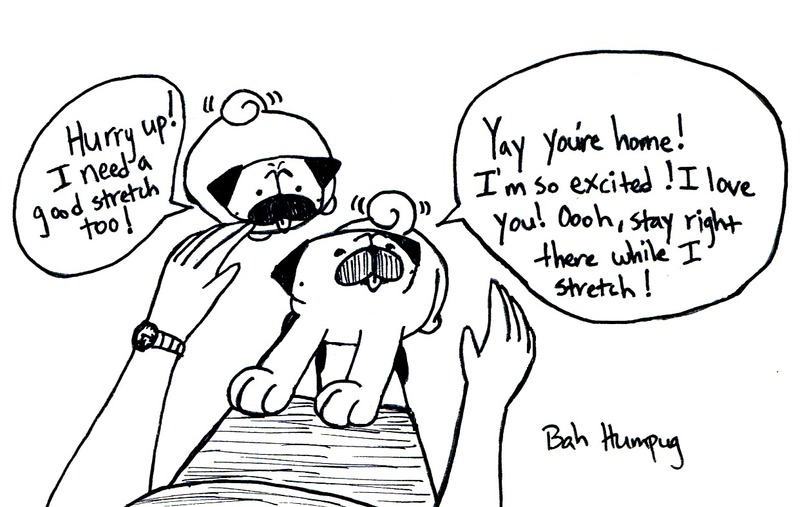 Most of these jump hugs end with a long stretch as I stand there for them. I'm like the wall or chair that people use for balance as they stretch their quads or calves. This is so true! 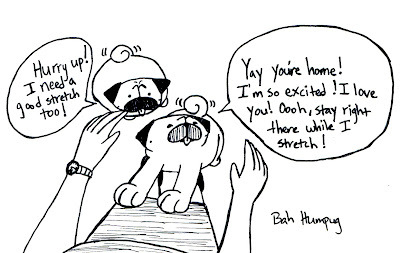 I totally get stretched on a lot too! They also like to do a nice big stretch on the floor sometimes after coming out of the crate. So funny.